A chocolate and vanilla color scheme makes the dining area feel cozy and inviting. A patterned area rug anchors the setting. Photos by Scott Johnson, Hawks Photography. The conventional wisdom is you can’t always get what you want when buying a home, and it still holds true. But while buying a home involves compromise, renovation does not. 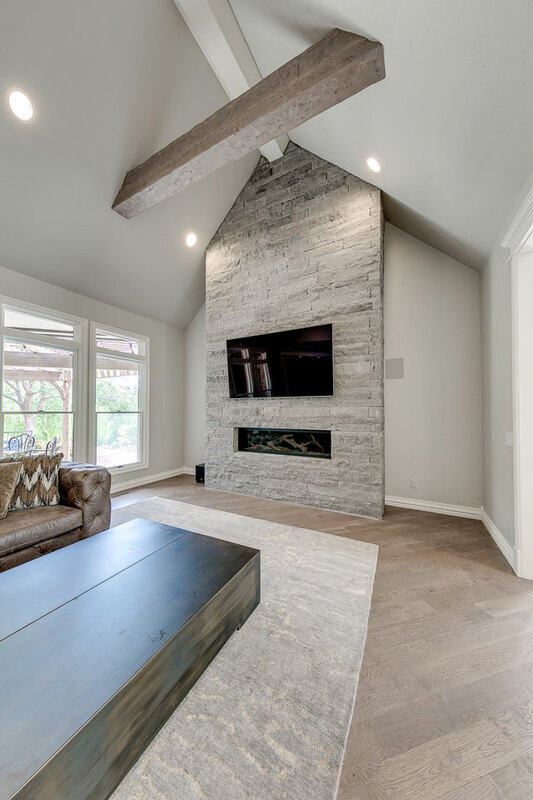 Renovation gives homeowners a chance to remake their homes exactly to their specifications, and many Oklahoma homeowners are choosing to do exactly that. Here are two projects where people chose to create the home they wanted rather than compromise. An OKC renovation mixes contemporary and traditional design for a fresh, new look. He likes contemporary. She likes traditional. 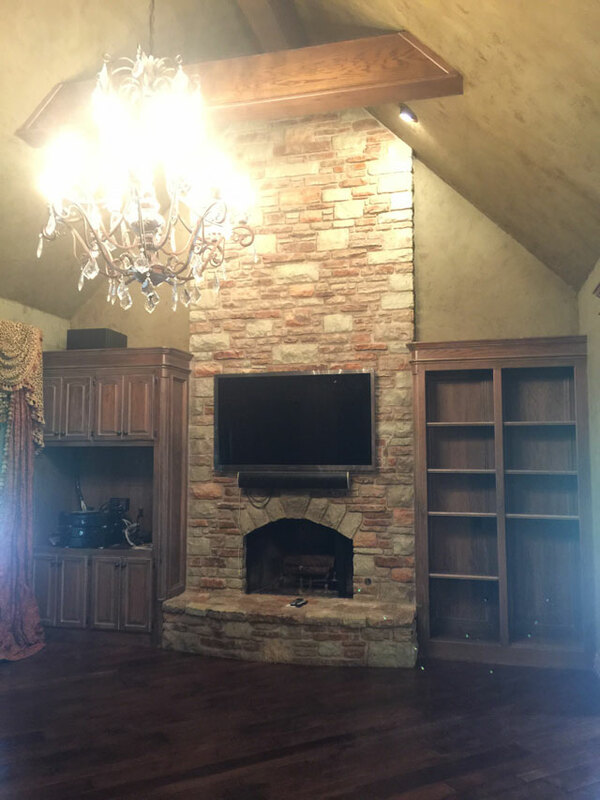 Both wanted a change in the interior design of their home, located in Mulholland, an upscale gated community in North Edmond. Their renovation wish was no small challenge for their interior designer, Kellie Nicholas of A-Line Designs LLC. Originally, the home was shrouded in dark brown tones. Rooms had a claustrophobic atmosphere as if these spaces were begging for more open, light-filled spaces. Scroll left and right to see before & after photos. 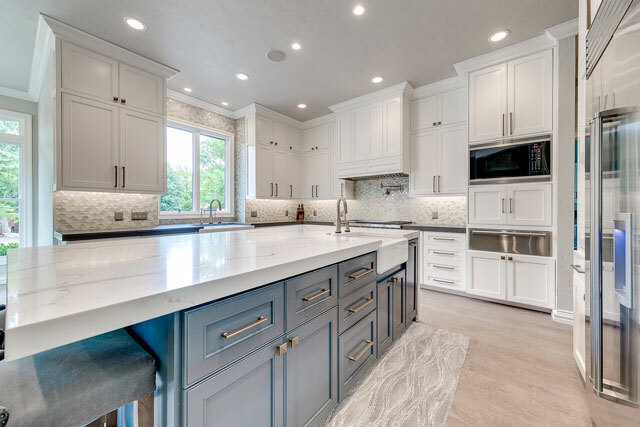 The kitchen’s large center island features a veined Calacatta Siena marble slab that gives a natural, yet high contrast, modern look. Photos by Ryan Wells, Flow Photography. 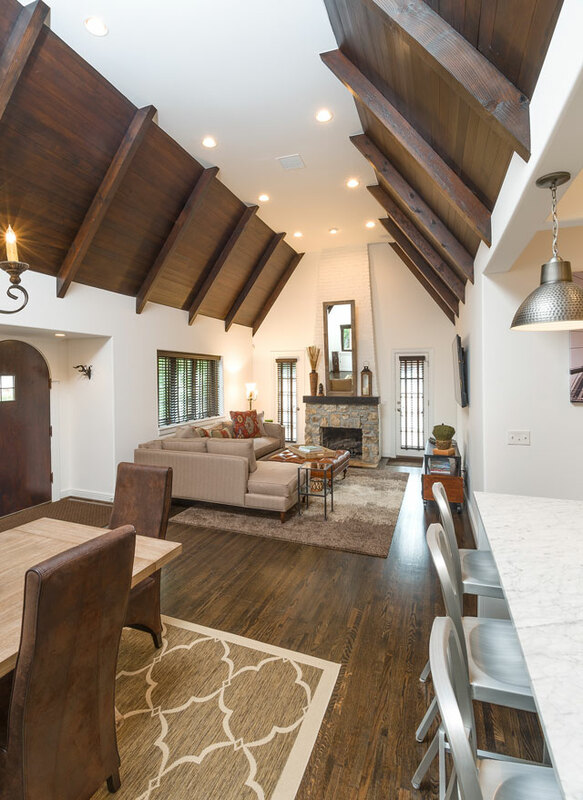 The renovated fireplace, accented with a dramatic ceiling beam, anchors the family room. Photos by Ryan Wells, Flow Photography. Mulholland homes feature traditional architecture. “We couldn’t get too modern, so our solution was to meet in the middle with a contemporary look,” Kellie says. The transformation is worthy of superlatives – magnificent, astounding, amazing. The front door became the key to this home’s revival. “We changed it to a modern iron and glass door, compatible with the contemporary updates we made to the home’s interior,” Kellie says. The renovation went well beyond designing a new front door. Throughout the home, there is an emphasis on geometric themes, especially in the kitchen, where modern updates enhanced the home’s traditional motifs. 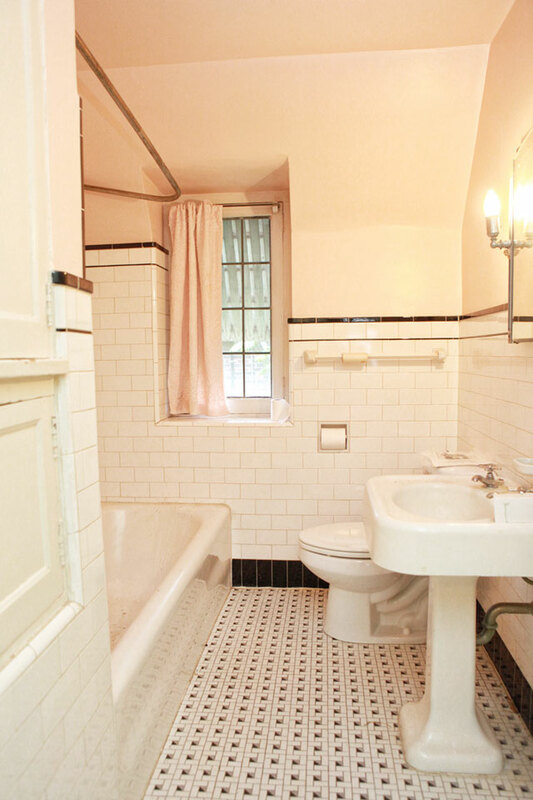 Originally, two French doors led into the bathroom. The French doors were updated to sliding barn doors. A tile rug feature creates the feel of one large open space. MetroQuartz white marble with random geometric streaks added design drama on the countertops, center island and surrounding spaces. “The veining of the Calcutta Siena slate, an engineered stone, has a natural, high contrast modern look. 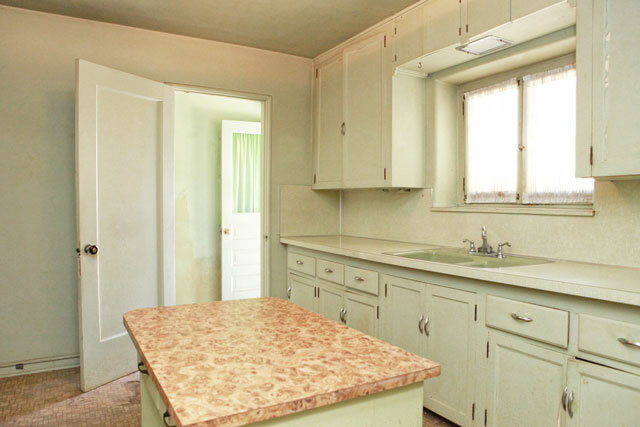 The same material was reprised for the butler’s pantry, laundry room and bathrooms. 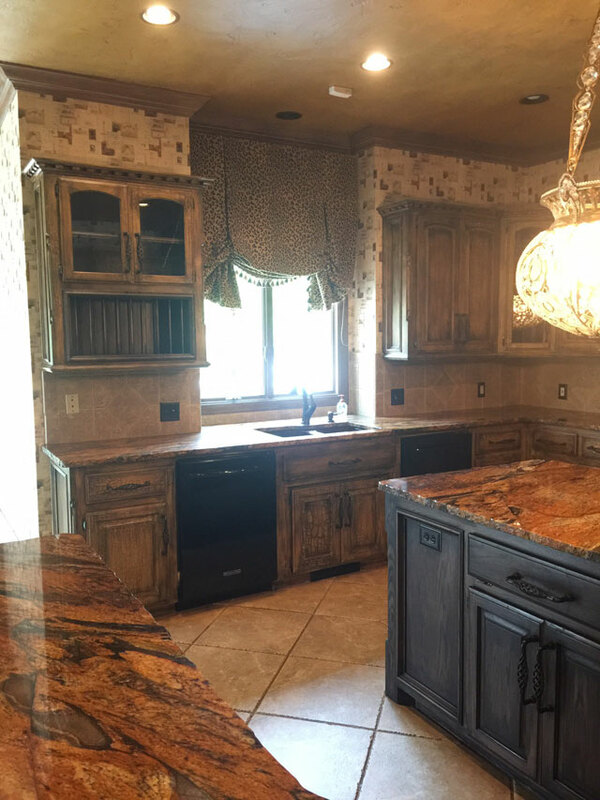 This stone is durable, stain resistant and awesome for longevity and family use,” Kellie says. 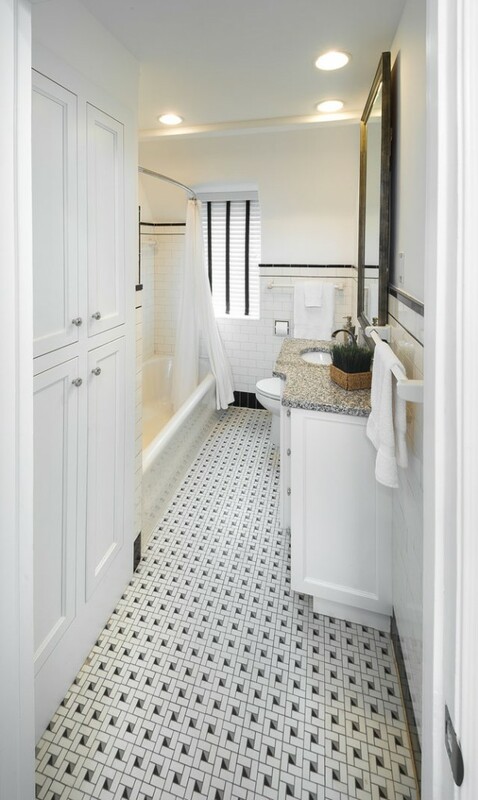 Extensive renovations occurred in the master suite and bathroom, which had been ultra-traditional. Now, this area has a contemporary look, with high contrast in furnishings and finishings. 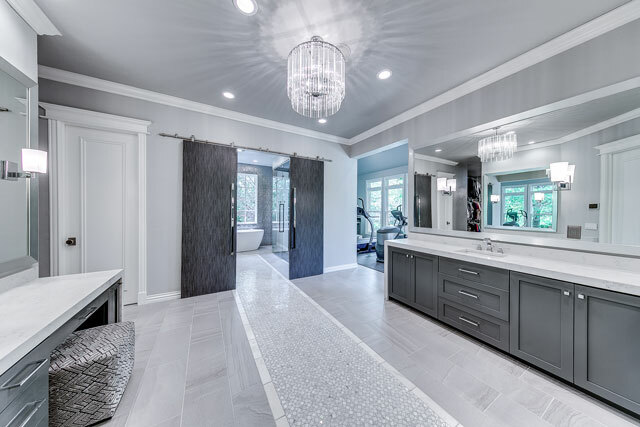 The transformation included adding rectangular charcoal gray bath and vanity sinks with a waterfall edge, chrome fixtures and a steam shower. A Tulsa family plans their own design in a historic home renovation. Dr. Mike Hinkle and his wife, Becky, often cruise the historic neighborhoods in Tulsa’s Utica Square and Florence Park. On those forays, they are not just admiring the period architecture or the beautiful landscaping. They are usually searching for homes to buy that they can renovate and sell, known as “flipping” in the real estate world. On the Hinkles’ recent sighting, there was also a dumpster in the driveway – a clue to them the home might finally be available. The owner had died several years previously, but the home was in a trust and the Hinkles were not allowed to see the property until legal procedures were completed. The Hinkles’ first visit across the home’s threshold was shocking. Plaster was falling from the walls. Asbestos was in the heating system. 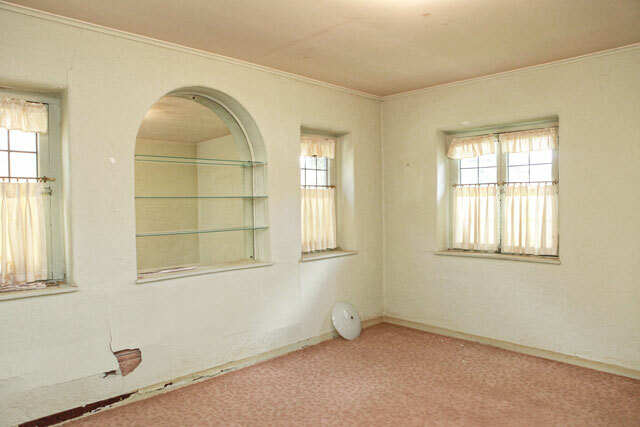 Most prospective buyers would have fled quickly. 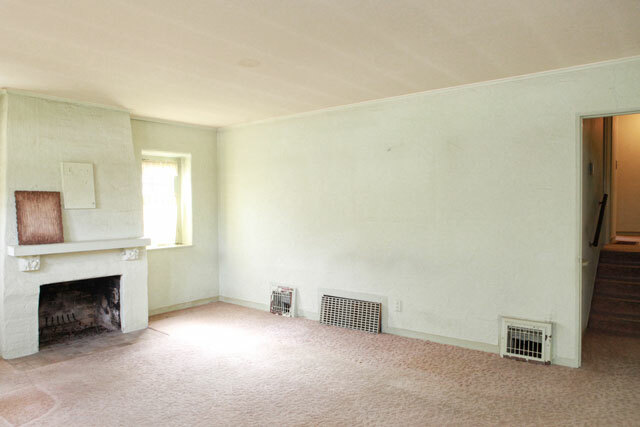 “The interior was dilapidated beyond anyone else even offering a bid,” Mike says. He and Becky immediately placed the first offer on the home and became the proud parents of a massive renovation project. The Hinkles converted the house to an open floor plan to create a more spacious environment. Photos by Scott Johnson, Hawks Photography. They found beauty in the wooden ceilings, circa 1929, the year the home was built. “They had covered the ceiling in the early 1950s to save on heating bills. 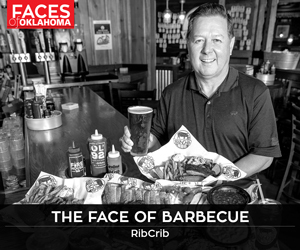 We dreamed of expanding the chopped up living and dining room and opening up the kitchen into one grand space,” Mike says. “Gant’s shower is to die for,” Mike Hinkle says. A contemporary shower features a rock-style base and updated surrounding features. Photos by Scott Johnson, Hawks Photography. What was required to fulfill their dream for a renovation on a grand scale was restructuring the entire roofline of the house – no small feat. 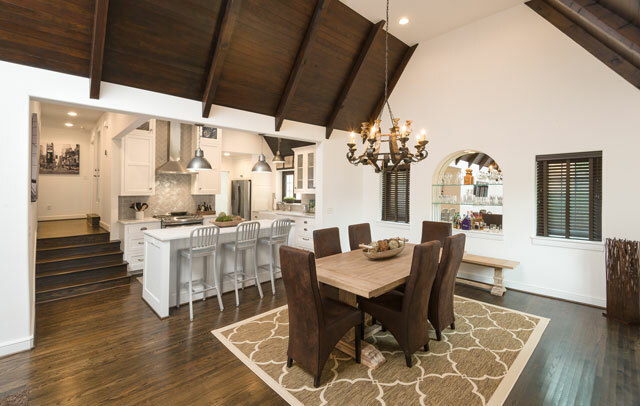 “I knew the roofline was the key to opening up the inside to have a grand cathedral shock effect after walking up to a cute little cottage and expecting tiny, separated rooms that really don’t reflect today’s home buyer and how they want to live,” Mike says. “While we were at it, we added a second floor with two additional bedrooms and a Pullman bath to allow the home to expand from the original small three bedrooms/one bath to the current spacious two bedrooms/two baths. To make their vision come true, the Hinkles turned to the people who knew their vision best – themselves. Instead of hiring an architect for the remodel, the family chose to create the design for the renovation. Once completed, the Hinkles did not have to search too far for a buyer for this impressive project. This precious, enchanting cottage is now Gant’s home. For all the unusual quirks the Hinkles found in this treasure of a small home to renovate, they were undaunted by the project. A fifth redesign project in the Utica Square area is now in the works for this enterprising Tulsa couple.